The Law of the Instrument states that if you give a young boy a hammer, he will find that everything he encounters needs pounding. 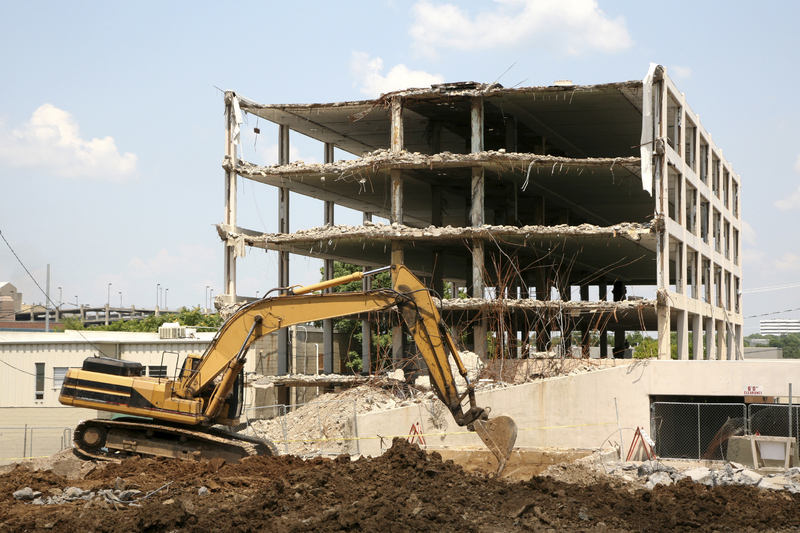 Similarly, for many contractors, every aspect of every demolition project can be done with an excavator and a bulldozer. There’s a time and a place for the big equipment, but demolition is about more than knocking stuff down. Done right, it’s a process that should be planned and managed. It should take into consideration site logistics, utility disconnections, and at all times the safety of both workers and the public. Hazardous materials must be removed and disposed of properly. If the project is attempting LEED certification (and maybe even if it’s not), debris should be diverted wherever practical away from landfills and toward recycling or re-use. For many projects, particularly historic restorations, the process is closer to dismantling than it is to demolition. Comar Castle has the experience to handle just about any demolition project—from complete structures to select areas within structures. We can take down the entire hotel or we can take out the grand ballroom while the rest of the place goes on with business as usual. We know when to fire up the excavator and when to finesse the pry bar.